Ankara was first settled as a city by the Phrygians. Gordion, the capital of Phyrgia, is one of the most important ancient cities in Central Anatolia. According to the legend, Ankara was founded by Midas, the king of Phyrgia. It was the Phyrgians who gave the city name Ancyra, which means anchor. The remains found in the region reveal the importance of the Phyrgian settlements, especially between 750-500 BC. After the disintegration of Phyrgia, the city was ruled by Lydians and Persians respectively. The city was a small trade centre on the famous Kings’ Road, built during the rule of the Persian king Darius. After capturing Gordian, Alexander the Great-the king of Macedonia- arrived in Ankara in 333 BC. Defeating the Persian King Darius III in a bloody battle, he brought the reign of the Persian kings to an end. Later the Tectosages, a tribe of Galatians who settled in Anatolia from Europe, are known to have made Ankara their capital city. Having conquered the city in 25 BC, the Roman Emperor Augustus made the region into a state of his empire and Ankara into its capital. 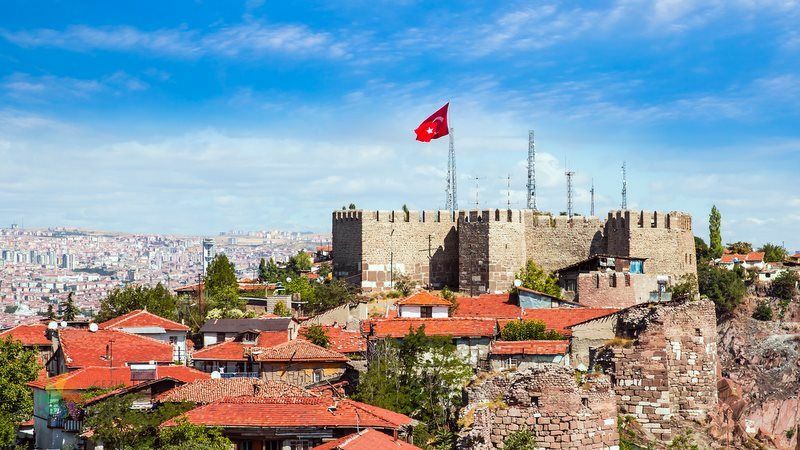 After the Roman Empire was divided in two in 395 AD, Ankara maintained its importance under the reign of the Eastern Roman Emperors and was beautified with the construction of many fountains, temples and other buildings of architectural importance. In late 11th century, the Seljuks started to invade the neighbouring areas and they finally conquered the city in 1073, bringing to an end the rule of the Byzantine Empire. After 1920 Ankara turned into the symbol of the Turkish War of Independence and it became the headquarters of the nationalists, from where the war was planned and directed. On 13th October 1923 it became the capital of the modern Turkish Republic.